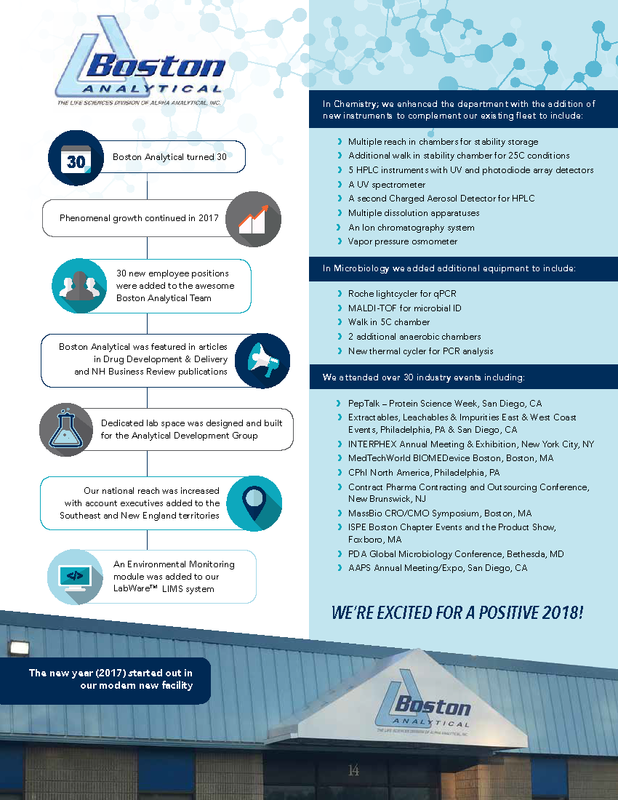 2017 was another great year for Boston Analytical. We appreciate all who were involved in our success. 2018 is off to a fantastic start and we look forward to helping our clients’ reach their goals. WE’RE EXCITED FOR A POSITIVE 2018!